Rob Carrick recently wrote an article called Let’s stop hiding the cost of mutual fund fee in which he suggests that unbundling advisor commissions from mutual fund fees will allow investors to understand how much money they are paying for financial advice. This is a good idea and is in the works for England and Australia by the end of 2012. Paying a separate cheque to your advisor will make their compensation about as visible as it can be. However, I’m not convinced that it will be enough. To benefit from more fee disclosure, investors have to know the dollar amount of fees they are paying their advisor AND the cost of alternatives and the cumulative effects of the difference. How many investors have any idea how much bigger their retirement pot would be if they could save one percent on their investment costs per year? Most investment costs are quoted in percentages and 2% per year doesn’t seem like a high fee when compared to other common percentage charges such as sales tax, income tax. It’s the cumulative charge over time that matters. An investor may not think that saving 1.0% per year is significant, but if she knew that over 25 years, the saving would create 27% more money for her, that would mean something. What are the cheaper alternatives? If my mechanic quotes me a price for labour and some engine part that I’ve never heard of, how do I know if I’m getting a reasonable deal or not? An inexperienced investor might not question an investment charge because they have no idea if they are getting a deal or not. How many Canadians know that advisor commissions are negotiable if you have enough money? This investment knowledge is something that can’t be regulated and the lack of it reduces the effectiveness of fee disclosure. What should an investor get for his investment fee? One of the secondary issues with high Canadian investment fees is the question of how much advice investors are getting for their money. You can justify any fee if there is enough service provided, but that doesn’t seem to be the case. A lot of investors use a financial advisor to select investment products and don’t get any real financial planning. How can the government educate those people that if they are paying a full service fee, they should be getting full service investment advice? Separating advisor compensation charges from mutual fund company fees is a step in the right direction. I’m not sure if it will really help most investors by lowering their investment fees or by increasing the amount of financial advice they get. The reality is that there are a fair number of lower cost investment products available in Canada and the majority of Canadian investors are just not interested. As a fee based financial planner my clients know exactly how much their fees for advice are, they have to write me a cheque each year. Can’t get more transparent than that! I think the important point here is that unbundling advice and products removes conflicts of interest. It doesn’t necessarily reduce overall fees. If you use a fee only adviser, you can still expect to pay about 50 bps for products (ETFs or low-cost mutual funds) and 1% to 1.25% for advice. That may not be significantly lower than what a commission-based adviser charges. The difference is that the commission-based adviser is motivated to choose products that will compensate him, not the ones that are most suitable for you. Paying a 1% fee for good advice is worth it, as it will likely improve an investor’s long-term results. Paying a 1% commission to a salesperson is not worth it, because fund-picking adds no value. This is not a comment about the the specific content of this article but is a comment about fees I paid on a self-directed RRSP with a large financial company. I was paying 1.5% on total assets in the RRSP, regardless of performance in the RRSP. In the period Jan 2004 to Dec 2008 the net value of my RRSP increased by $4,162. In those 5 calendar years I made contributions of $7,500 and paid fees of $8,833. If I had just invested my RRSP in a GIC paying 5% for those 5 years (and including my $7,500 deposits) my RRSP would have increased in value by $36,000. In the period Jan 2004 to Jun 2011 I paid a total of $14,082 in fees. Granted the returns in my RRSP for the period Jan 2009 to Jun 2011 were a lot better and I managed to cash it out at about $2,500 below its peak value. I still would have been better off in a 5% GIC for the whole period by about $5,000. 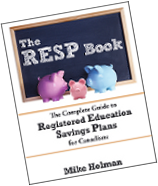 I know I should have watched the performance of my RRSP a lot closer and I have learned my lesson. I now track these things a lot more intently. Fixed fee. Structuring a small portfolio isn’t rocket science. There are computers that do it and recommend low-fee funds to meet a portfolio’s needs, so it’s unclear what value a financial advisor adds beyond knowing how to turn the crank. I’ll pay for that, I guess, but it really isn’t much value add these days. I do think that things change a bit for larger sized portfolios only because tax treatments and estate planning are more complex. For example estate executors charge commissions based on the estate’s size. That seems to be standard practice. Something to consider for retirees, though, is that making things simpler, not more complex, actually saves time and money for your heirs. @CCP – I’ll agree that it removes conflicts regarding products, but it doesn’t remove conflicts with the service provided. An investor could hire a fee only advisor and not get enough service to match the fee (ie get overcharged). Or they might get too much service for their situation – a young person might only need a basic plan, but end up paying for a grand deluxe plan. My point is that it is a big step in the right direction, but it’s still not perfect. @Jesse – It doesn’t matter how simple something is – a lot of people won’t do it. Definitely including this one in my weekend reading.